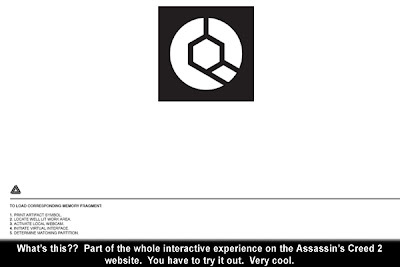 The Ubisoft PR team sent NextGen Player a notice today about the new Assassin's Creed 2 website containing a teaser trailer for the game that is set to release at some point this year. The trailer is a Flash animation with very stylized sketches of the human anatomy similar to those done by Leonardo Da Vinci - in fact the trailer ends with a modified version of Da Vinci's famous Vitruvian Man sketch in which the lower of the two left arms is modified to include Altair's concealed knife weapon. 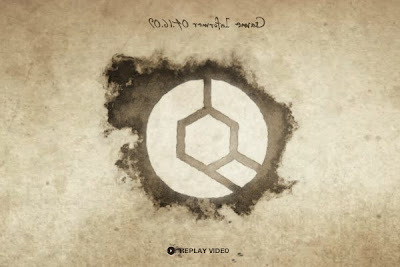 At the end of the trailer, you are presented with a logo and above it are the words "Game Informer 04.16.09" written in a reversed mirror image. I'm assuming this means that the April 16th edition of Game Informer will have important details about Assassin's Creed 2. If you tinker around on the website, there is an interactive task you can partake in that is rather interesting and down right cool to experience. We won't reveal any more on this and let you check it out for yourself. To check out the Assassin's Creed 2 website and teaser trailer click here.